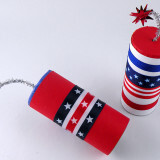 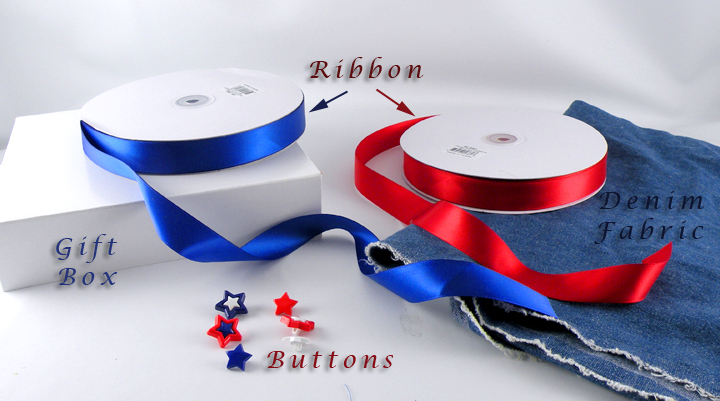 You may know someone who is celebrating a special occasion on the 4th of July or you would just like to create a fun 4th of July gift wrap design as a hostess gift. 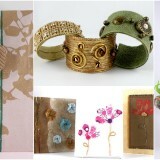 Here are three designs I created that are custom tailored for almost any recipient. 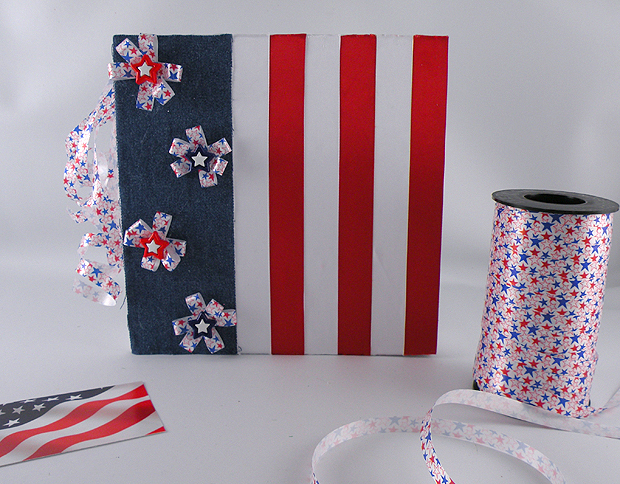 I created the Stars and Stripes Gift Wrap which is a great design for anyone, the Camouflage design for anyone who is or has been in the Armed Forces and the Tee Shirt and Jeans gift bag for the grill master at your barbecue. 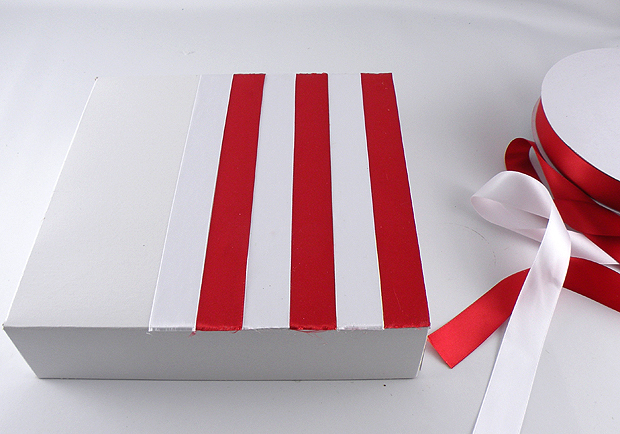 Cut strips of red and white ribbon attach with craft glue over 1/3 of the box. 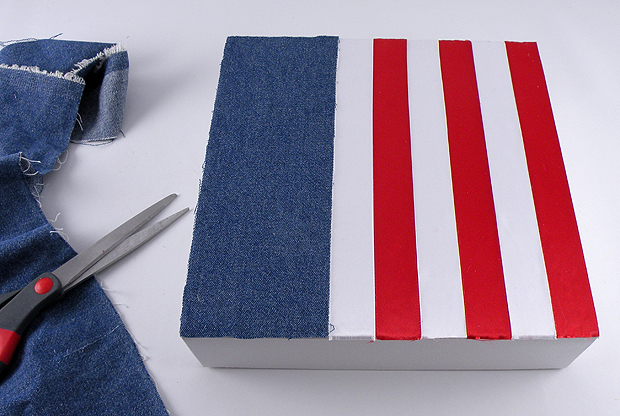 Cut a piece of denim to fill the final 1/3 of the box. 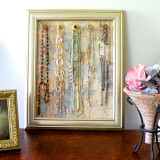 Attach with craft glue. 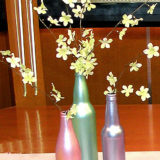 Create ribbon flowers as shown above. 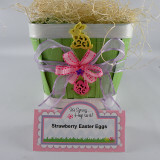 Glue the star buttons on the the flowers and attach the denim section of the gift box. 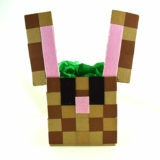 Curl ribbon secure it to the side of the bag with craft glue. 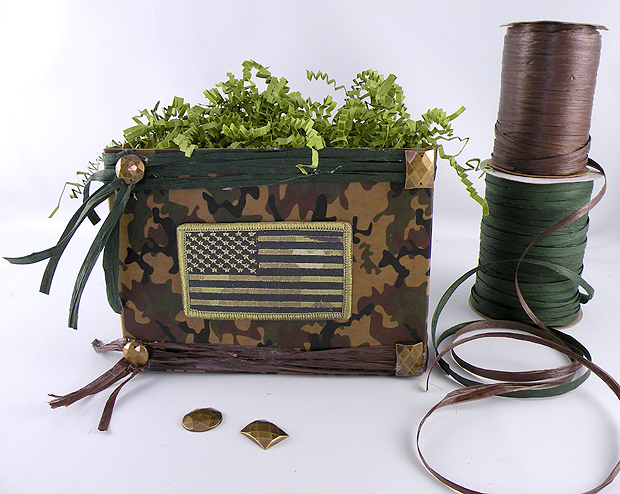 Create camouflage inspired gift box design using a decorative box, earth toned raffia, metal accents and a printed American Flag. 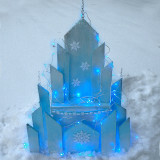 This would be a great gift for anyone who is in or has been in the armed forces. 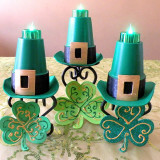 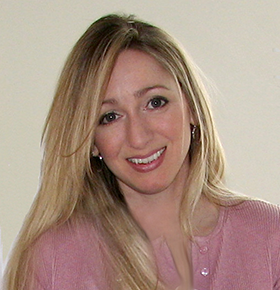 Click here to learn how to make this design. 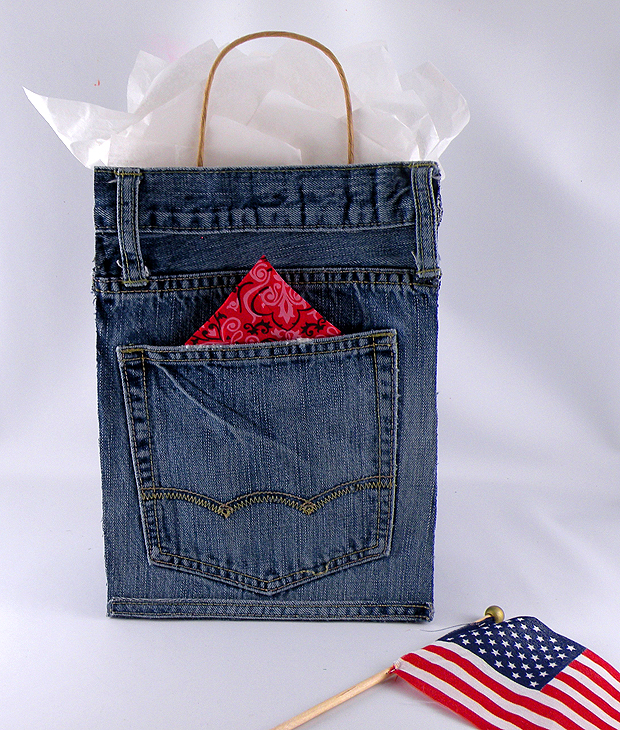 Create this fun denim gift bag using an old pair of jeans for the tee shirt and jeans guy or girl. 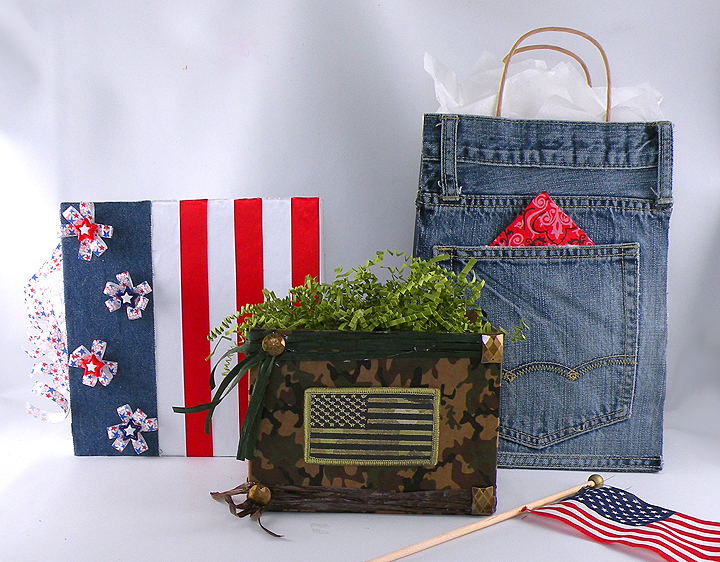 Click here to learn how to make this denim gift bag design.